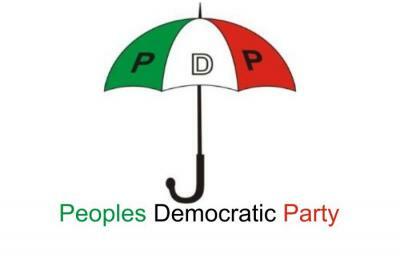 The national leadership of the Peoples Democratic Party (PDP) on Tueaday revealed how party is targeting to win at least 30 of the 36 states in the 2019 general elections. The party also said the exit of its prominent leaders such as ex-President Olusegun Obasanjo, former Vice President Atiku Abubakar, the five governors who left in 2014 and many others had not put an end to its existence but only wounded it. Speaking at the PDP national secretariat in Abuja, where Dr. Alex Obiogbolu obtained his expression of interest and nomination forms to contest the party’s primary ahead of the November 18 Anambra State governorship election, the party’s national publicity secretary, Prince Dayo Adeyeye, said PDP was working hard to win at least, 30 states in 2019. Presenting the forms to Dr. Obiogbolu, the PDP National Organising Secretary, Senator Abdul Ningi said, “This party has individuals that left beginning with the former President Olusegun Obasanjo, former Vice President Atiku Abubakar, five of our governors left, we were wounded but not defeated and we are rising up from the ashes of those who have left. Hope you people gave the best now to offer?